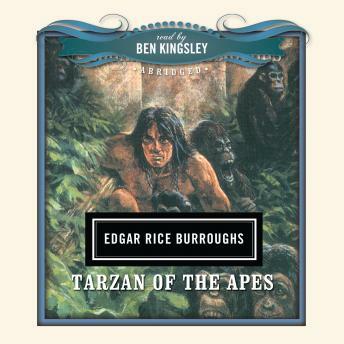 This classic tale of Tarzan, the young English boy in the deepest African jungle, is one of imagination, adventure, and ultimate action. Raised by apes, he learns to speak to the animals, swing through the jungle, and survive happily as one of their own. Only when he meets a group of British tourists on safari does his world change completely. His first encounter with humans, and Jane especially, turns his known life upside down. This Edgar Rice Burroughs classic tale beckons readers to escape their own world and visit a savage and untamed wilderness.